If there is anything Team Fortress 2 is known for, aside from it’s wacky cartoony graphics and colorful cast of characters, it’s Hats. 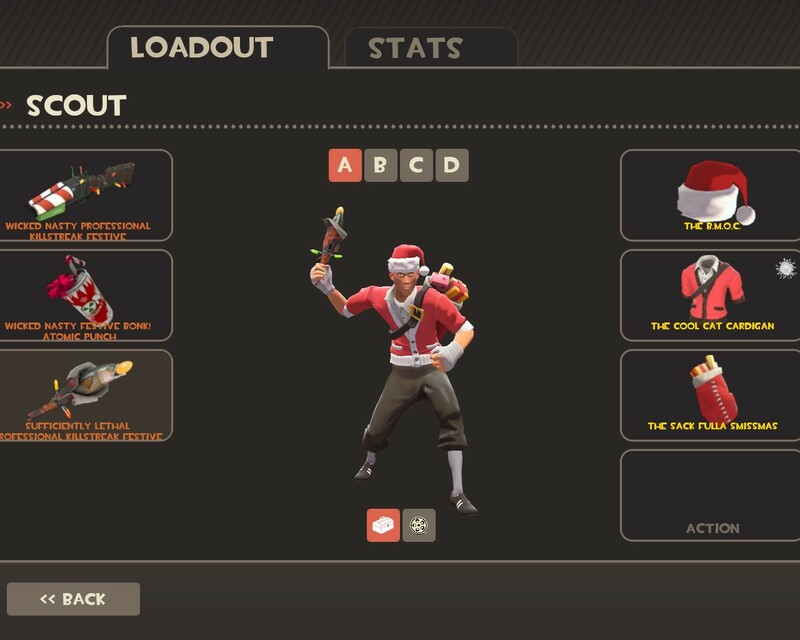 The amount of cosmetic items in this game is somewhat ridiculous: It’s easily in the hundreds, maybe soon approaching thousands, which is why hats are a common subject of jokes when it comes to TF2. And a lot of people have gotten sick of hats as of late: It seems every even slightly major update includes dozens of hats, but only like 3 new weapons and maybe 1 or 2 new maps. “Towering Pillar”? Pfft, please, check out THIS pillar! The majority of hats that have been added to the game since 2010 have been community-made. A lot of people have actually made a living by creating Team Fortress 2 items that have then been added to the Mann Co. Store. And boy, hat creators really have a lot of imagination when it comes to coming up with stuff: Steam Workshop is loaded with all sorts of crazy things that deserve to be in the game. And aside from the occasional Madcap, most of them look really great. But let’s stick to actual in-game items for now. 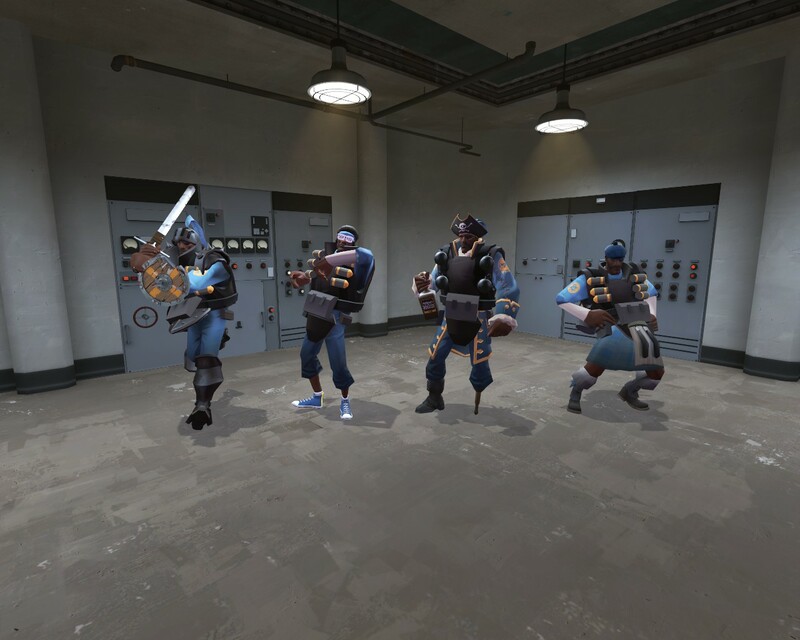 One of my personal favorites is the Cool Breeze, an item that changes the Demoman’s pants to a Scottish kilt. 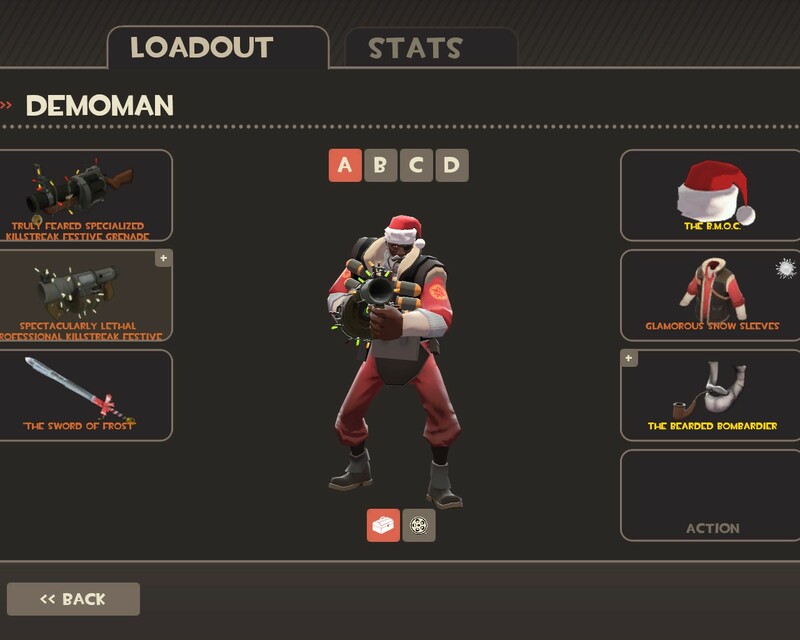 It makes perfect sense, fits Demoman well, looks unique and really changes up how Demoman looks but at the same time is instantly recognisable and you can still obviously tell it’s still the Demoman. 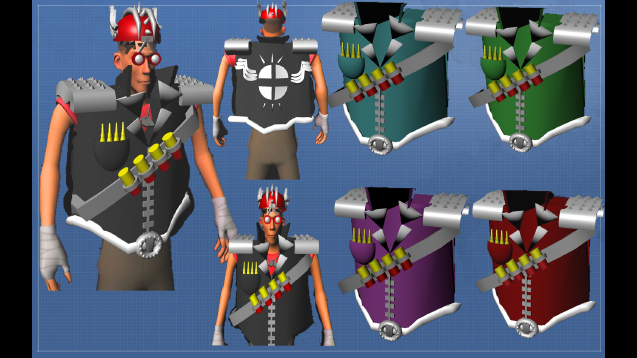 Then there’s the Snow Scoper, a Sniper shirt item that replaces his vest and t-shirt with a winter skiing jacket. 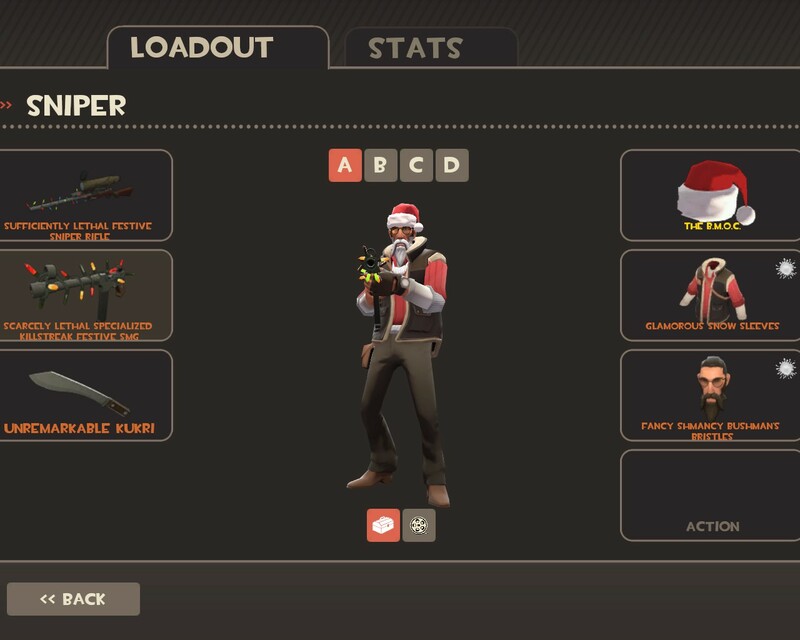 It’s really unique and changes up how Sniper looks quite drastically when you think about it, but it looks fantastic and actually fits Sniper really well, despite there not really being any indication of him having ever gone skiing. 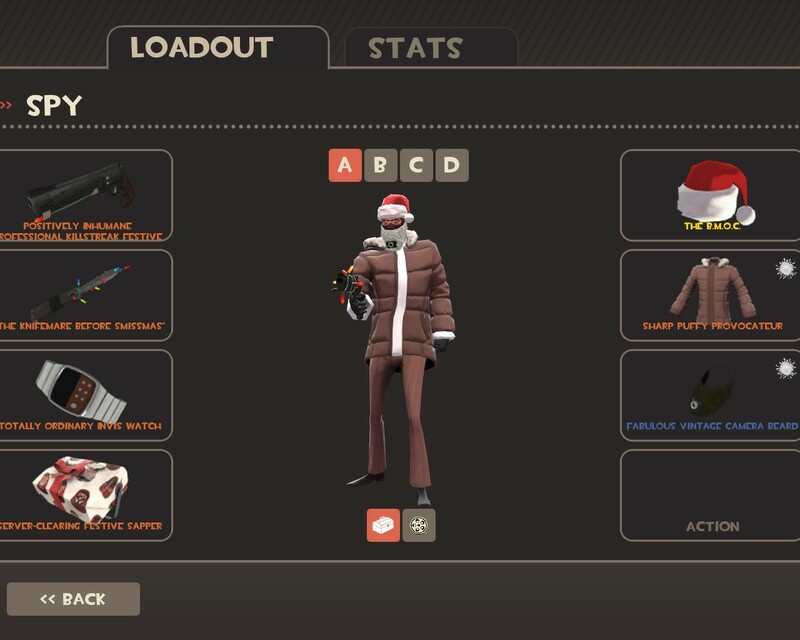 Some of these items look so good that I actually think they make Stock classes without any items on them look kind of bland and uninteresting: I seriously cannot look at Scout without him wearing any of his shirt items, like Delinquent’s Down Vest or Fast Learner, or my personal favorite the Cool Cat Cardigan. Same goes for Medic: His head looks so small when he’s not wearing any hats. Run, you fools! Run, before it infects us with it’s ugliness! …But overall, I’d say the good most certainly outweighs the bad when it comes to hats. 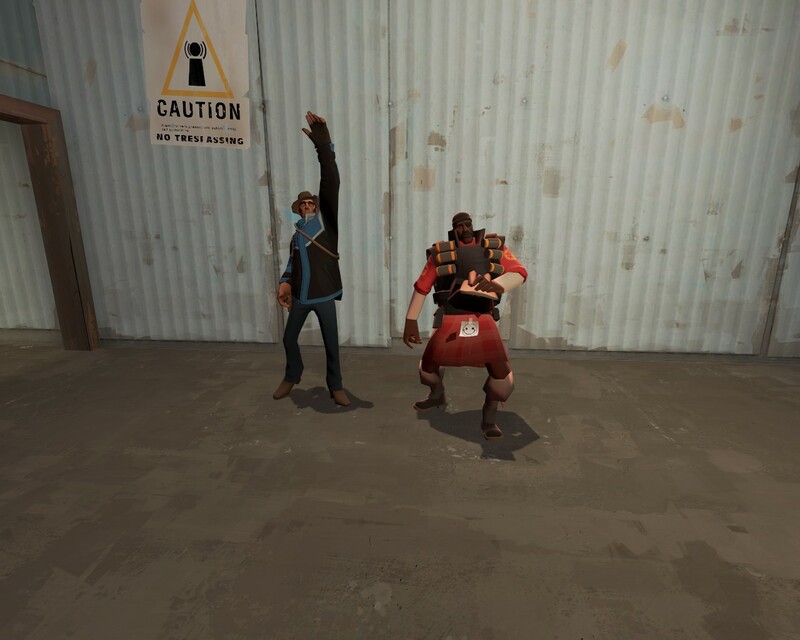 Think about Demoman: He is a Black Scottish Cyclops, with an alternative playstyle that turns him into a Knight. This means that most of his hats come in 3 categories: Scottish items, like a kilt or golf clubs, Pirate-related items, like pirate hats or parrots or treasure chests, and Medieval items: Helmets, armor, you name it. Then there are of course the more, umm, “urban” items, like an afro or stutter shades. Every class’s own unique items have to do with their personality, profession, background or other small details: The reason there are so much pirate items for Demoman is solely because of his eyepatch. Now think of the Soldier: A patriotic war nut wearing a helmet. His items are usually either military equipment, headgear belonging to authority figures, equipment belonging to other kinds of Soldiers like a samurai, or different types of hardhats and helmets: A lot of Soldier’s hats are actually just attachments to his default helmet. 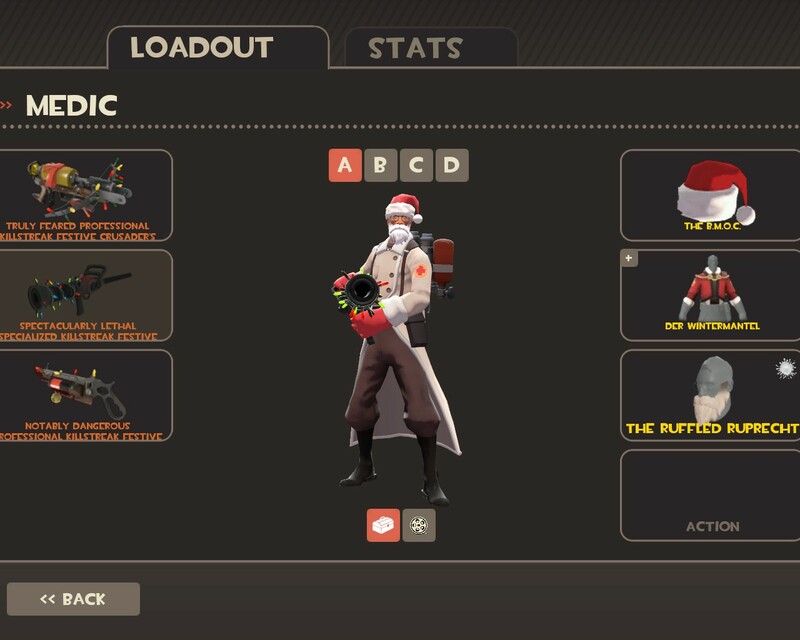 Most classes seem to follow this rule: Medic’s items are related to Germany or medical equipment, Spy’s items consist of stuff from France, smooth and elegant clothing and spy equipment, and Heavy’s items have to do with Russia, winter, macho men or hair, be it facial hair or different hairstyles for his bald head. However, Pyro would be one exception: While a lot of his items are different gas masks or related to burning things, the Pyro is such a mysterious lunatic that he could actually wear anything and it would be in character. 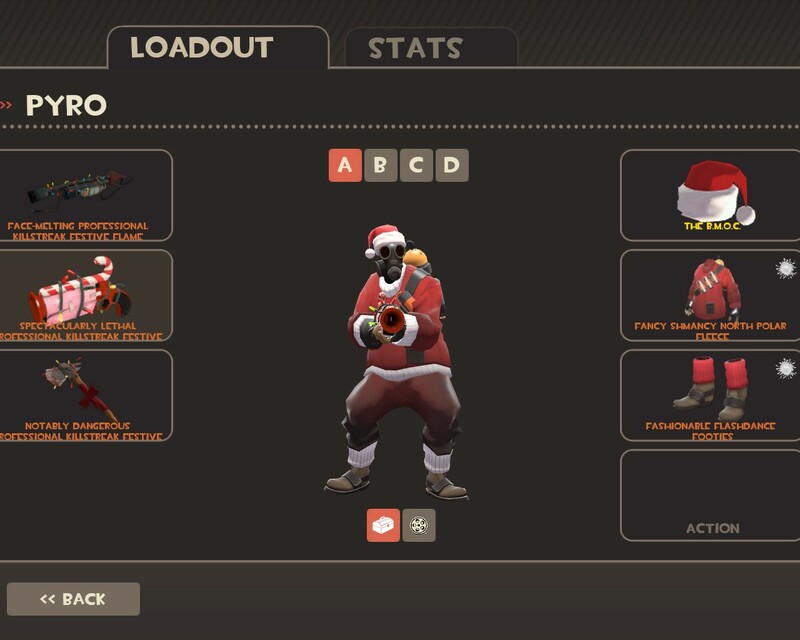 And for this reason, modellers went crazy: Pyro can wear a plunger, a fish, an antler, a winter parka, his head could be a light bulb, a gargoyle or made out of fruit. 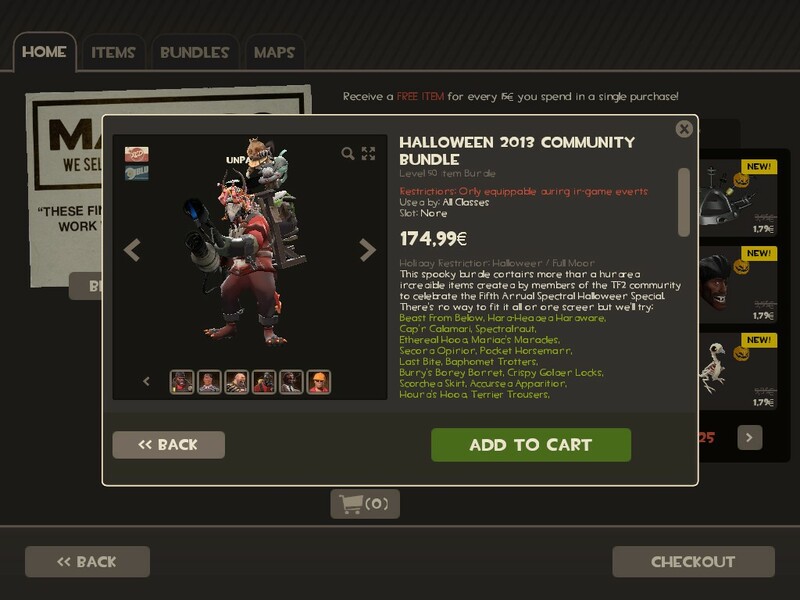 A lot of the more outrageous items come out during Halloween, where Heavy can dress up as a fairy princess, Scout transforms into Hunter from Left 4 Dead and Medic turns into a furry. These items are most of the time restricted to Halloween and Full Moon, which is a shame: There are a lot of good-looking items that would fit the game year round, like Soldier’s samurai set and the all-class Chicken hat. 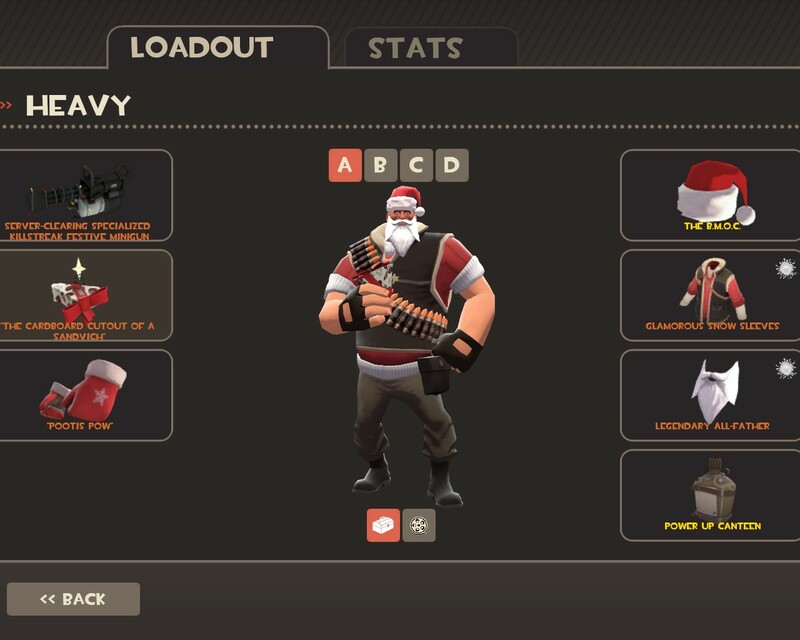 When I first unboxed my Strange Festive Minigun during Christmas 2011, I fell in love with it: Heavy is my favorite class after all, it was just the right Festive weapon I wanted, I got it in Strange quality, and I got it on my first try. I have kept it since then, and I have no plans of ever getting rid of it: Me and my Minigun, we go way back, man. I didn’t do this for the sake of showing off or anything: I did this to see if I could. And the fact that I could is what makes me love hats so much. The amount of character customization is insane. 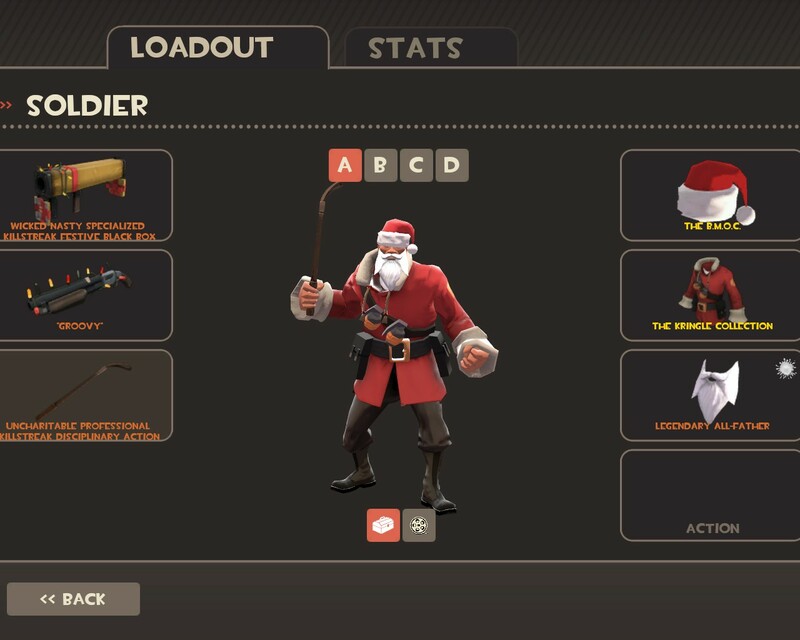 I decided to make my classes into Santa Claus: I’m sure someone out there is trying to make movie characters, army men, mafia men, or some other crazy creative combinations. I’m going to agree with what Medic said in her conga blog: We aren’t just creating new loadouts, we are actively creating new characters altogether. A lot of us playing Team Fortress 2 can be instantly recognized by the way our characters look in the game, and that, if anything, is spectacular, and something other games could learn from. 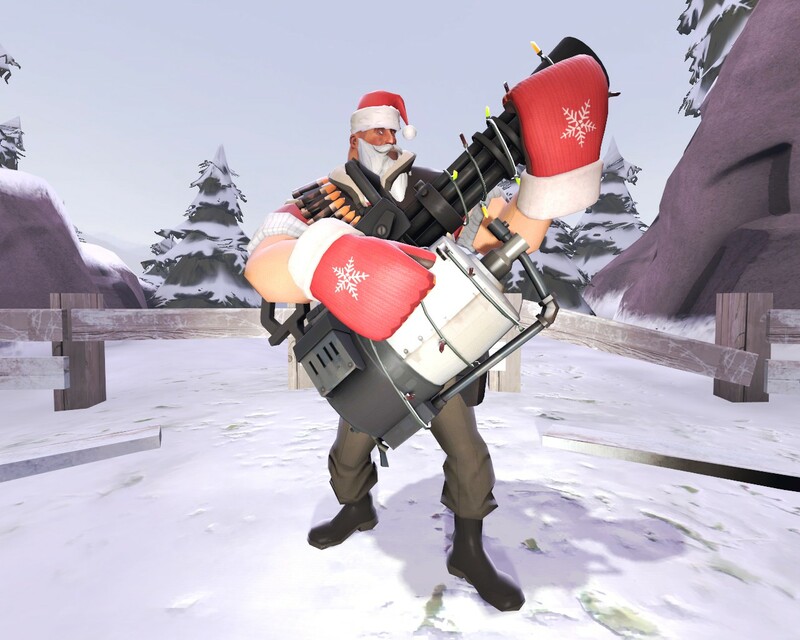 A lot of people are complaining how hats and the trading community have ruined Team Fortress 2. But the way I see it, it’s the exact opposite: Cosmetics and people trading are what keeps Team Fortress 2 still relevant to this day. Think about this: Team Fortress 2 is over 7 years old, soon 8 by this October. Name any other first-person shooter that is over 4 years old that is still relevant and actively played online. Team Fortress 2 is almost double that age, yet it is still consistently the third most played game on Steam, behind Dota 2 and Counter-Strike: Global Offensive, both of which are relatively new releases. 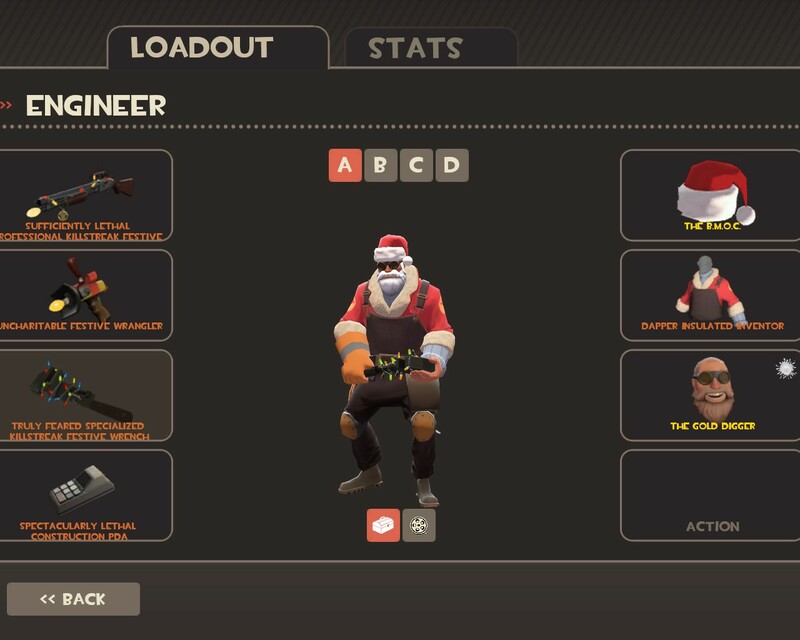 If Valve had never introduced Hats, new item qualities, tools, crates, all of that stuff, I’m pretty sure Team Fortress 2 would have died off by 2010. 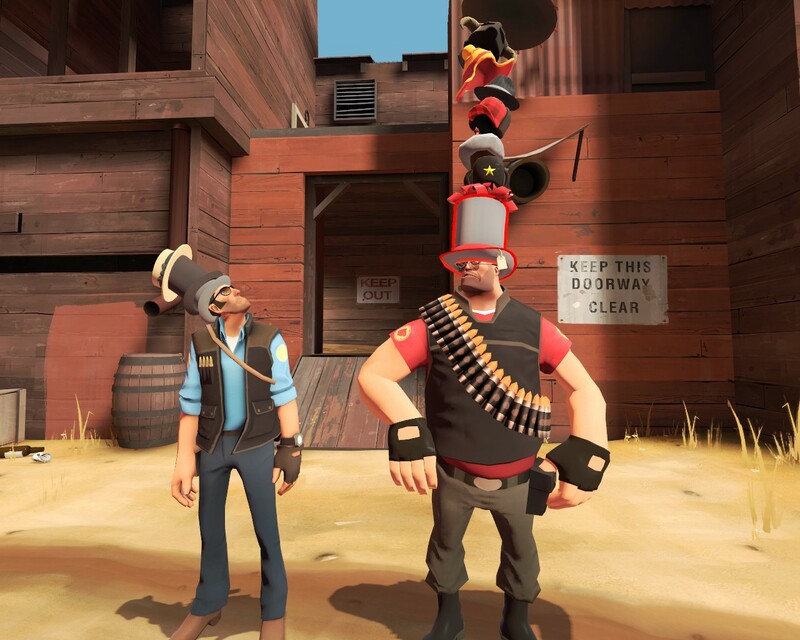 With hats, and modelers actively making new hats, there is still a lot of interest centered around the game by fans, which is the reason Valve still gives us regular content patches in 2015. Thank you, Hats. I expect to see a lot more of you in 2015, and I expect to love most of them as usual.